This is my dad's old JTG Infinox that I found sitting in my basement and I decided to paint it for my school. 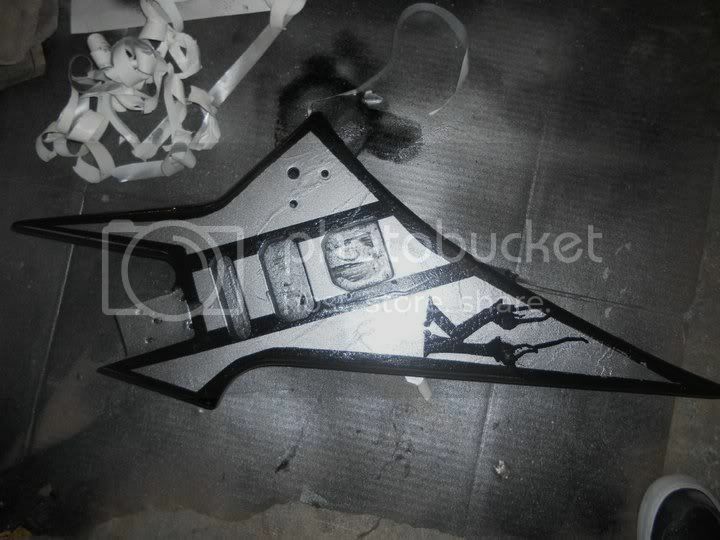 The unique thing about it was the headstock (not pictured), because it was just like the headstock on Randy's V.
I'll get a picture of it when I go back to school, but I really wanna know what you guys think.! That's a nice body shape, can't recall having seen one before. And routing for a humbucker and a single coil?! Are you building it fully? Will be interested to see the result. You probably haven't seen one before, haha. It's made by a company called JTG, who went out of business in '87. Unfortunately, less than 100 of this particular model were made, and my dad just happened to have one lying around. Talk about luck.! I'll take some pictures of it with the neck on on monday and post them. Just out of curiosity, how much would you spend on your "building project" ? 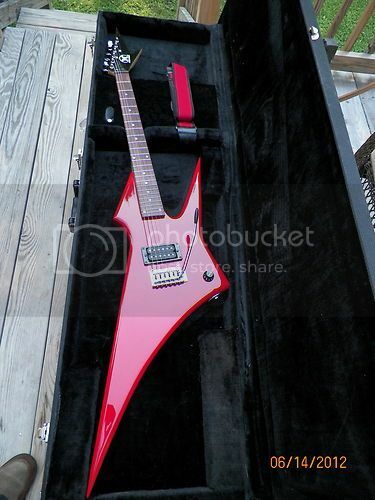 If you had a black Infinox then you had there special edition that was made for 1 year 1985, i have the black one that fully works with all the stock pickups and everything back then this guitar costs $1,200. 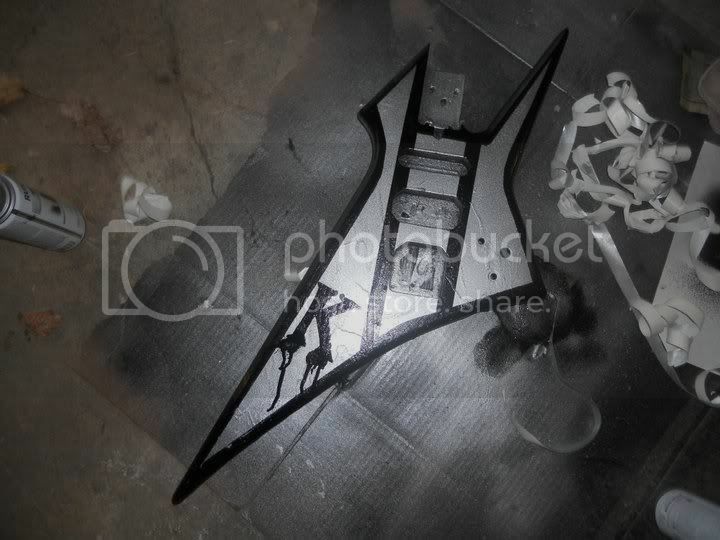 who knows how much it cost now and by painting it you have completely distroyed it and its worth nothing right now. trust me I got an offer for 12,000 but i didnt take it because its worth more than that, if you can find a way to get rid of that paint and atleast try to save its originalty and worth please dont let a custom guitar like this be destroyed as far as i know there is only 3 infinox guitars left in the world, mine , yours and the guy on youtube. and if you find the pickups theyre worth over $200 each. and if you find the pickups theyre worth over $200 each. yup, to whoever wants them. original Gibson PAFs is about the same in $$$ wich would you rather have? It could easily be painted back to black and no one would ever know.. Very true... I tried to look these up to verify the claimed value, I could find almost no info. If someone offered me $12K for a guitar almost no one seems to remember, I think I'd be a fool to say no. Man, if you got offered 12 grand for your guitar, you should have taken it and ran because you won't EVER get an offer like that again.